This is as official as you can get. The Google Nexus S is real, and it will be available soon. There has been so much speculation lately, various leaked pics and spec, and was even in the hands of Google CEO Eric Schmidt. That was enough to fuel several blog posts, but we needed something more concrete. Today we got that concrete, official announcement. Google has gone live with a new Nexus S site, and added the Nexus S to the Google Phones Gallery. Even Samsung has put out a lengthy press release highlighting the device. There is a chance we could get a more formal announcemnet from Andy Rubin, at the D: Dive Into Mobile Conference in San Francisco this evening. That remains to be seen. Getting back to what was released today. Google has released all the major selling points of the new Samsung Nexus S. It’s now safe to say this phone is looking impressive. Most of the speculation about the phone is true, in regards to the specifications. The Nexus S will come with Android 2.3 Gingerbread. I dont think there was any doubt about that. It will come with beautiful 800×480 4 inch SUPER AMOLED sceen. Only the new iPhone 4 has a more vivid screen. That’s where the comparison to the iPhone 4 will end. The Nexus S will come with the 1GHz Hummingbird processor based on the 45nm ARM Cortex A8. It is currently the fastest cpu on the market today. It will also include Samsung’s new embedded NFC chipset. NFC stands f0r Near Field Communication, and allows the wireless exchange of data between two objects over short distances (around 4 inches). NFC support also one of the new features of Gingerbread. The Nexus S will come with 16GB of internal storage and 512MB of RAM, and will have the obvious microSD card support up to 32GB. The standard a 5-megapixel camera is also included along with a front-facing VGA camera for video chat. The usual b/g/n WiFi support and bluetooth 2.1 support is included. There is also a slew of sensors on the Nexus S. The phone also has a gyroscope, accelerometer, compass, proximity sensor, haptic feedback and a light sensor. Along with that there is now VOIP/SIP support, a new improved keyboard, and better multi-touch support. All of which are new features of the Google’s yet to be announced Android 2.3. Getting to pricing and availability, Google has posted the Nexus S page that it will be available on December 16th. The phone will be available unlocked for $529 or $199 with new T-Mobile contract. You can purchase the Nexus S exclusively at Best Buy, either in store at Best Buy Mobile or online. People outside of the U.S, the Nexus S will go on sale on December 20th and also sold exclusively at Carphone Warehouse. Now that the cat is out of the bag, we will be hearing a lot more about the Nexus S. If you want more you can check out the official press release below. Most importantly you can check out the new Nexus S site now for all in and outs. Also Stay tuned to Blogsdna for anymore breaking news regarding the Nexus S.
SEOUL, Korea, and DALLAS, US December 6, 2010 — Samsung Electronics, a leading mobile phone provider and the No. 1 mobile phone provider1 in the U.S., and Google™ today announced Nexus S™, the world’s first handset to feature the latest version of Google’s Android™ platform. Powered by Android 2.3, Samsung and Google have packed Nexus S with powerful technology and the latest in hardware features. “Google is excited to co-develop Nexus S with Samsung, ensuring solid integration of hardware and software to deliver the lead device for the latest version of Android, Gingerbread,” said Andy Rubin, Vice President of Engineering at Google. Nexus S is designed with Samsung’s brilliant Super AMOLED touch screen technology providing a premium viewing experience. The 4-inch Contour Display features a curved design for a more ergonomic style and feel when held to the user’s face. Nexus S also features Near Field Communication (NFC) technology which allows you to read information off of everyday objects like stickers and posters that are embedded with NFC chips. Powered by a 1 GHz Samsung application processor, Nexus S produces rich 3D graphics, faster upload and download times and supports HD-like multimedia content. 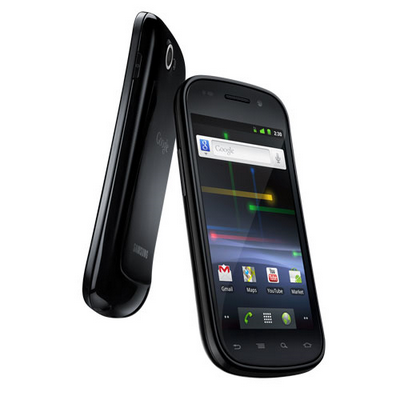 Nexus S is equipped with a 5 megapixel rear facing camera and camcorder, as well as a VGA front facing camera. 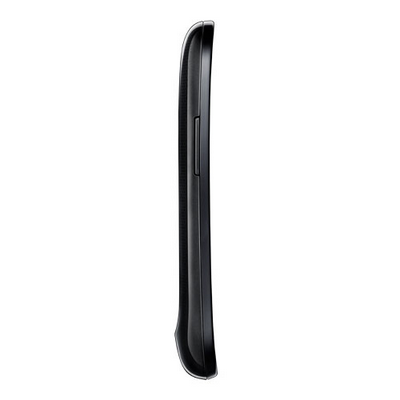 In addition, Nexus S features a gyroscope sensor to provide a smooth, fluid gaming experience when the user is tilting the device up or down or panning the phone to the left or right. Nexus S also comes with 16 GB of internal memory. Android 2.3, Gingerbread, is the fastest version of Android yet. It features support for Near Field Communication (NFC), a new and improved keyboard with multi-touch support, Internet calling (VoIP/SIP support), and a clean new user interface. Nexus S also includes popular Android features such as portable Wi-Fi hotspot, true multitasking, access to Google mobile services such as Google Search™, Gmail™, Google Maps™ with Navigation, Voice Actions, Google Voice™ and YouTube™, and access to over 100,000 apps and widgets on Android Market™. 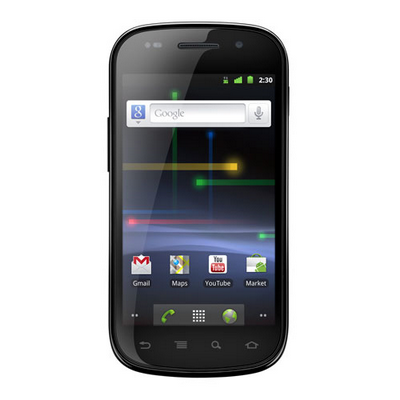 Nexus S can be purchased (unlocked) online and in-store from Best Buy retailers in the U.S. starting after December 16 and at Carphone Warehouse retailers in the U.K. after December 20. New Details Emerge About the "Nexus Two"